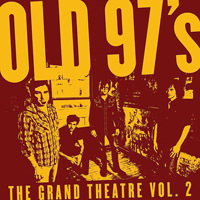 On last fall’s The Grand Theatre Volume 1, the Old 97’s branched out into grislier territory, telling stories of jilted drunks, agoraphobics, and misanthropes with a guttural, nervous sound relatively new to the band. It was a surprising record: a sign of a band evolving into middle age, into something jaded and shifty-eyed, into a group of guys who once trusted in the simple beauty of the world but who seemed unsure of what to trust anymore. I should’ve known that was just an experiment. The Grand Theatre Volume 2, recorded alongside the first but released just last week, is its predecessor’s antidote. 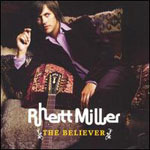 Though still concerned with dark undercurrents of love and loss, this time around Rhett Miller and co. can’t stay too mad about much of anything for long, choosing instead to shrug off the bitter in favor of the sweet. 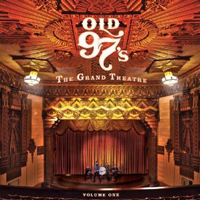 The Grand Theatre Volume 2 is another take on middle age: a band that can’t believe their good luck to still be together, making great music, after almost 20 years. Of course there are but a few not-so-bright spots within—given a double album’s worth of material, there’s bound to be some surplus. Where the character studies on _ Vol. 1_ were some of the band’s most fully realized (and creepiest), “The Actor,” Vol. 2’s contribution to that canon, doesn’t stand up quite as well. I admire Miller’s attempt to step out of his comfort zone care of an over-emotive vocal take, but the most pervasive feeling it conjures is just that: discomfort. Similarly, “White Port,” bassist/co-songwriter Murry Hammond’s outside-the-box venture, veers into unfortunate Irish drinking song territory—which is something I just can’t abide on such a straightforward rock album. Perhaps the Dropkick Murphys have ruined all good-natured attempts in this vein for pretty much the whole human race, but nine times out of ten I’ll skip “White Port,” which is notable only for the rare opportunity to hear Hammond’s impressive yodel. Album closer “You Call It Rain” is an ode to seeing the proverbial silver lining and is the clear winner for most cheerful Rhett Miller song ever. “Right now is a pretty good time,” he grins on the chorus, adding, “I believe that love finds a way / What did you expect me to say?” Miller knows his optimism is cheesy; he also understands his appeal as a songwriter. Throughout their time in tandem, throughout all those songs about drinking and paranoia and burying cheating lovers in a meadow, Old 97’s have maintained a kind of winking positivity, which is perhaps the key to their longevity. 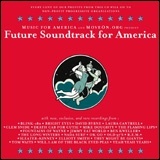 The Grand Theatre Vol. 2 embraces this unashamedly. And though it’s perhaps more challenging when the band explores their darker side, here we have a clear representation of exactly where the band has come after all this time, and, perhaps more importantly, where they’ve been. Fans, and I count myself here, are reminded, yet again, why we love them.